Casey Edward Jameson Grijalva Jr. It is with great sadness that the family of Casey Edward Jameson Grijalva announces his passing on March 10, 2019. Casey was born on January 15, 1999. Although only 20 at the time of his death, Casey affected many people in his short lifetime. Casey will be forever remembered by his parents, Casey Grijalva and Shayna Lozano, and his brother, Jordan Willis. He is survived by his grandparents, Robert & Joan Grijalva, Frank & Diana Lozano, James & Brenda D’Amico; and great grandparents, Robert & Beryl Nissen. He loved and was loved by so many Aunts, Uncles, Cousins, and close friends. 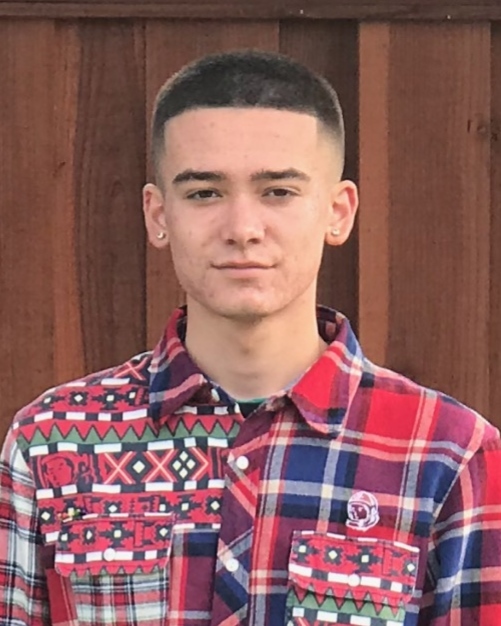 He attended Oakley schools and graduated Freedom High School in 2017. Many remember him from working at Black Bear Diner during high school. His huge heart was full of love, and it showed in his work as a teacher’s aide to special needs kids. His unique style was one of a kind and it showed in every outfit he wore. He aspired to be a clothing designer and stylist and was the co-founder of a clothing line called Deus. He loved spending time with his friends and family, and never missed a chance to tell those around him how much he loved them. Casey’s huge smile, amazing sense of humor, and love for those around him will forever remain in our hearts.